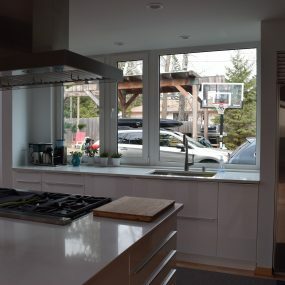 It’s a frustration for many…cooking dinner and not being able to see your small children playing in the other room or visit with your guests at the table, etc. 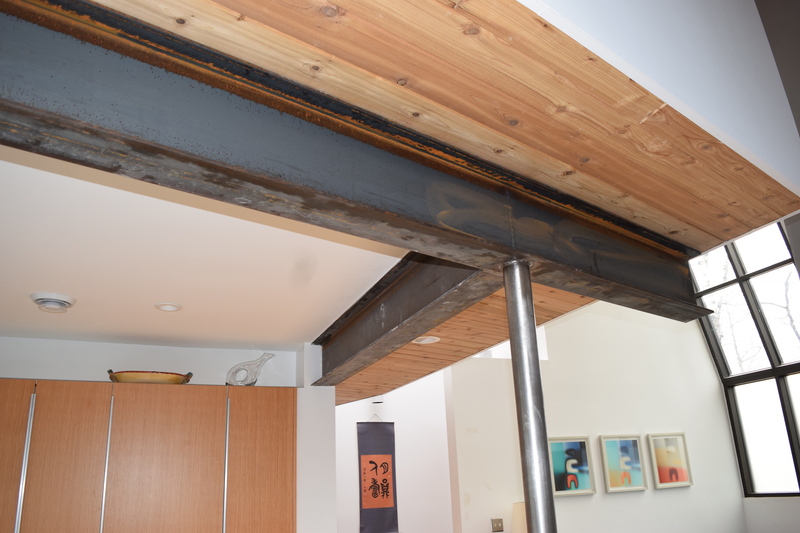 A couple who have small children and love to entertain came to Knutson with this problem. 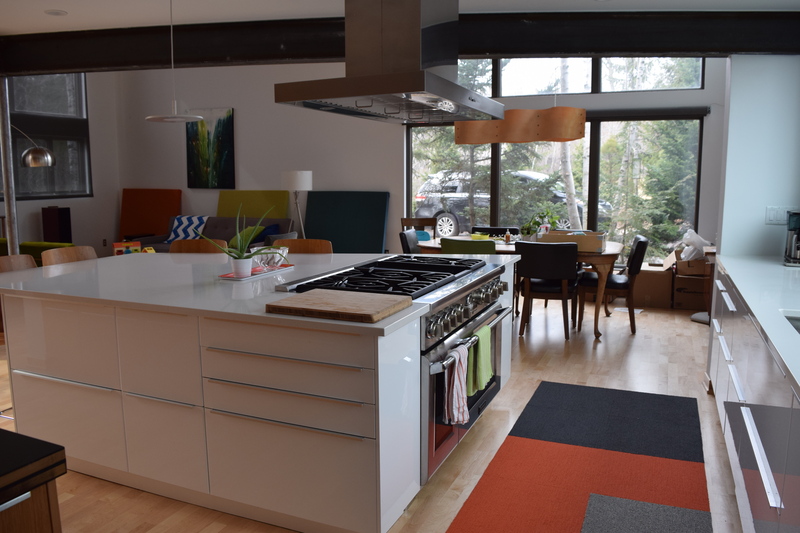 Andrew has a knack for giving people the space they are dreaming of all while matching the style of their home. 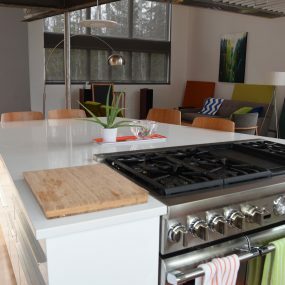 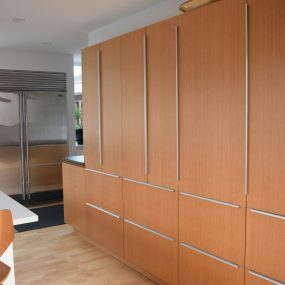 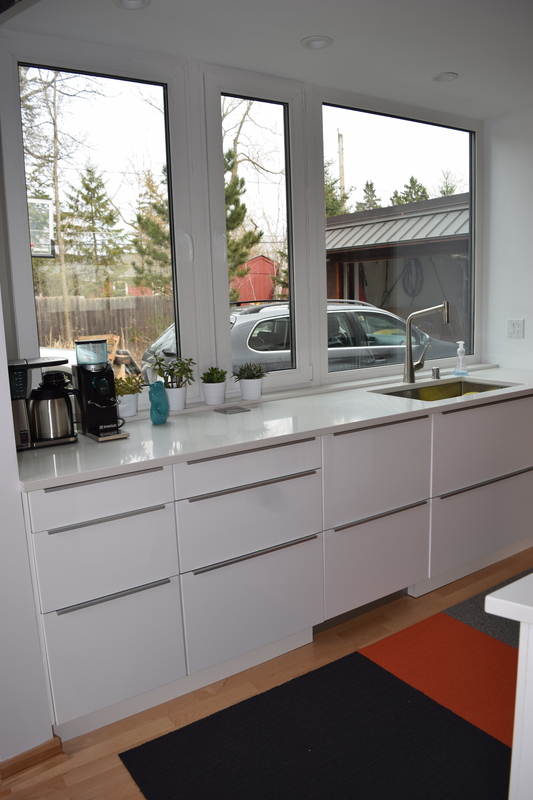 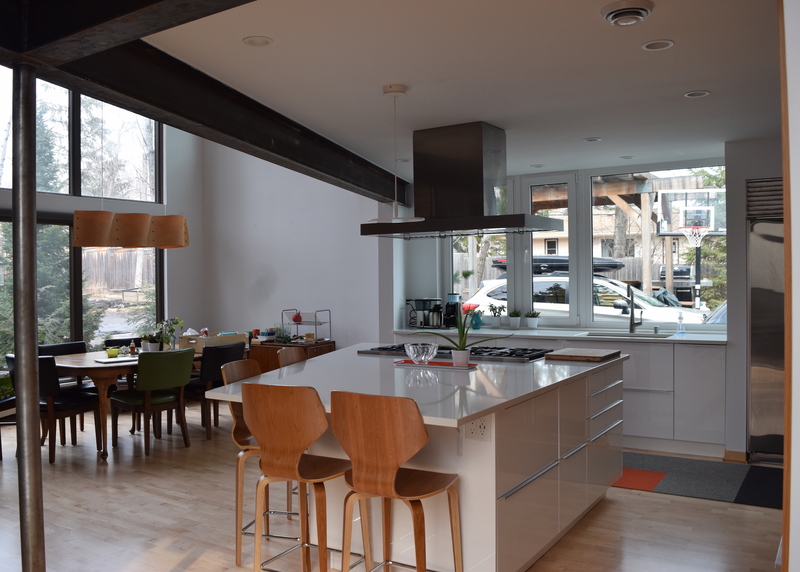 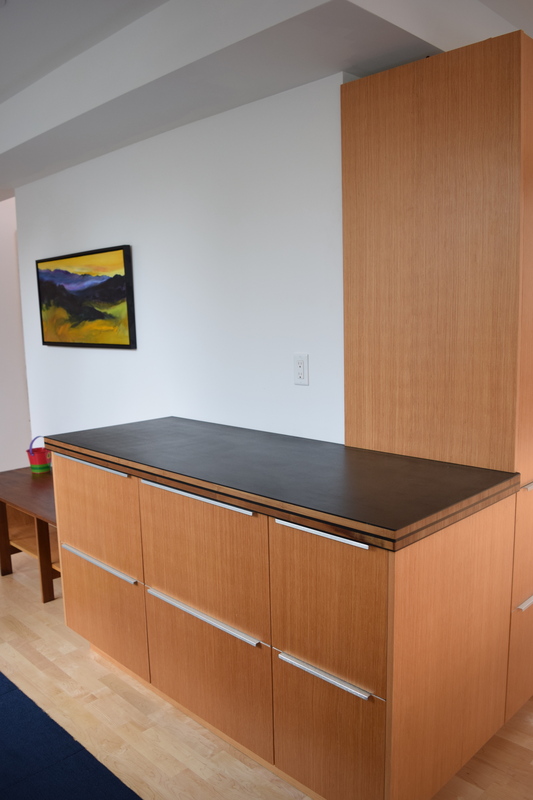 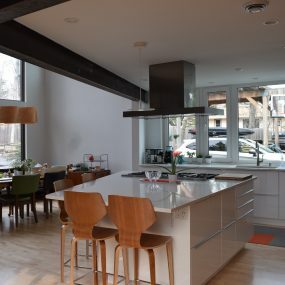 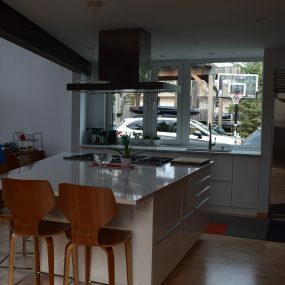 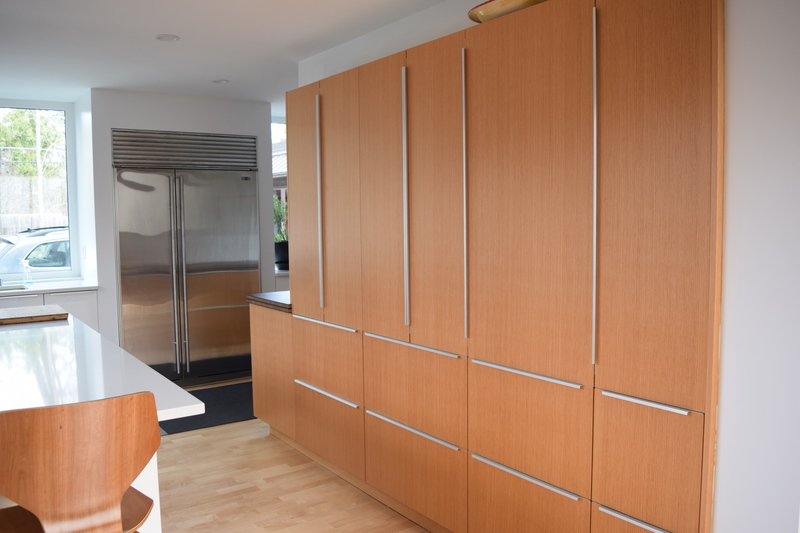 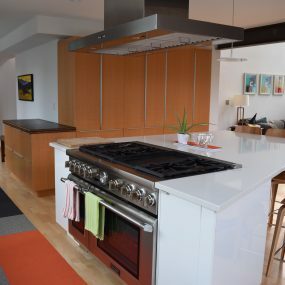 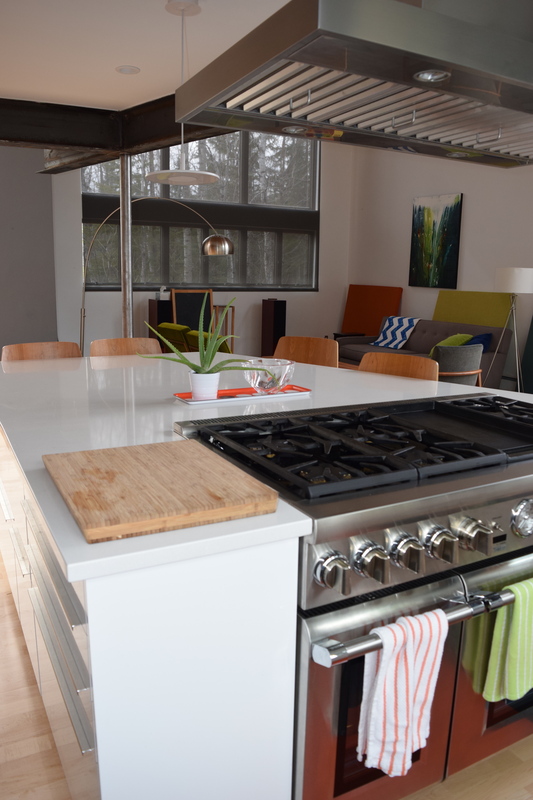 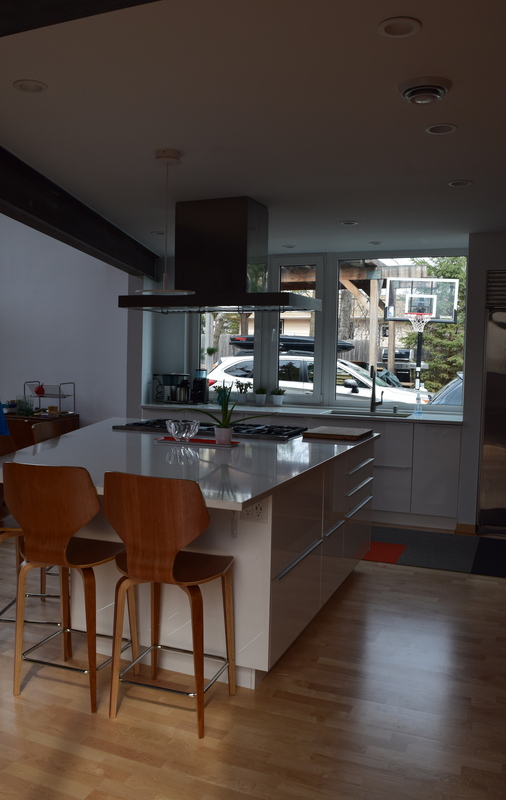 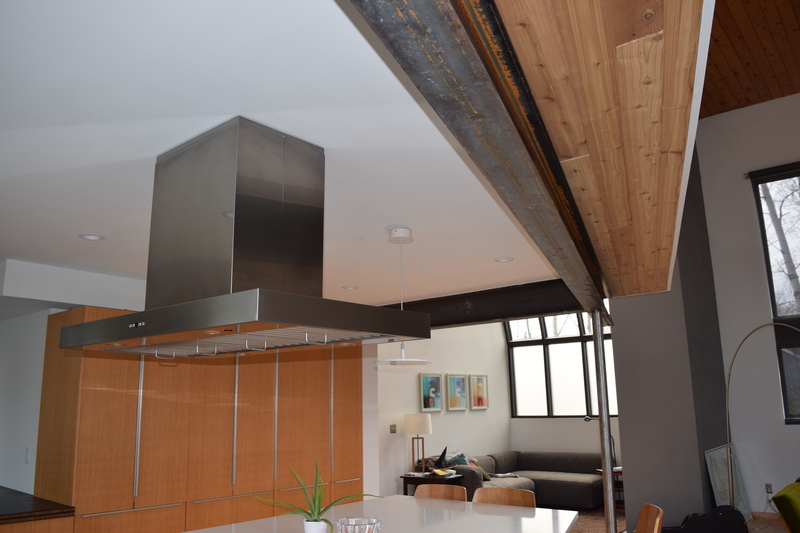 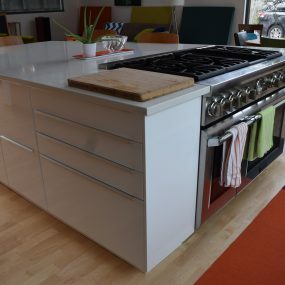 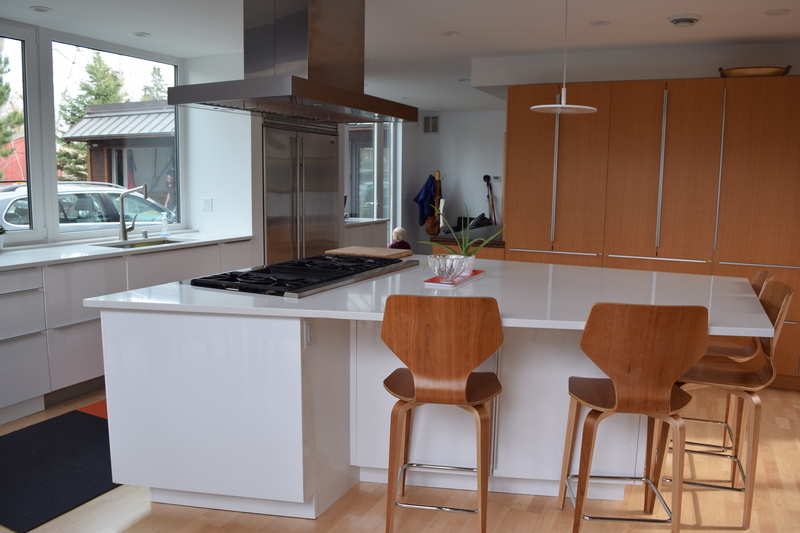 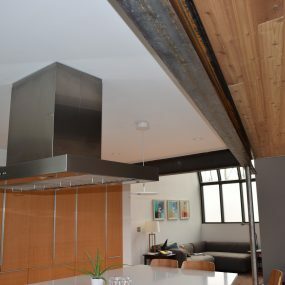 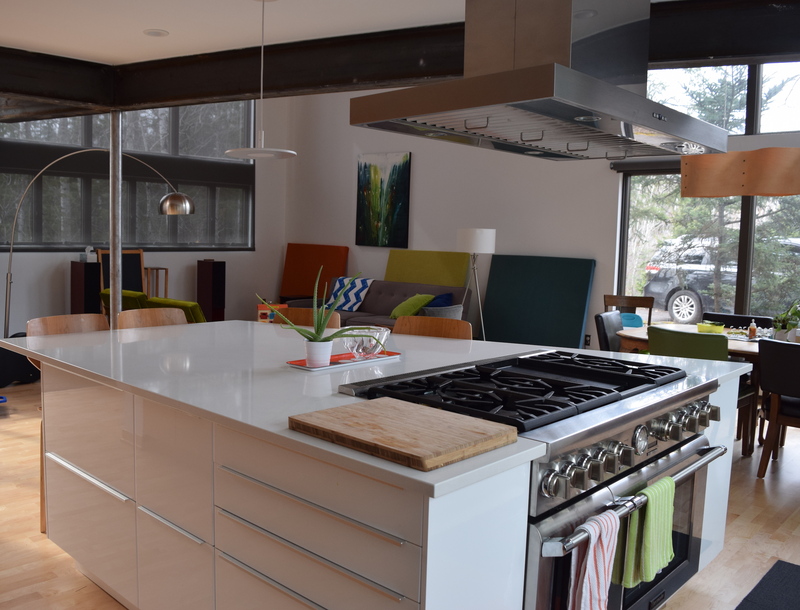 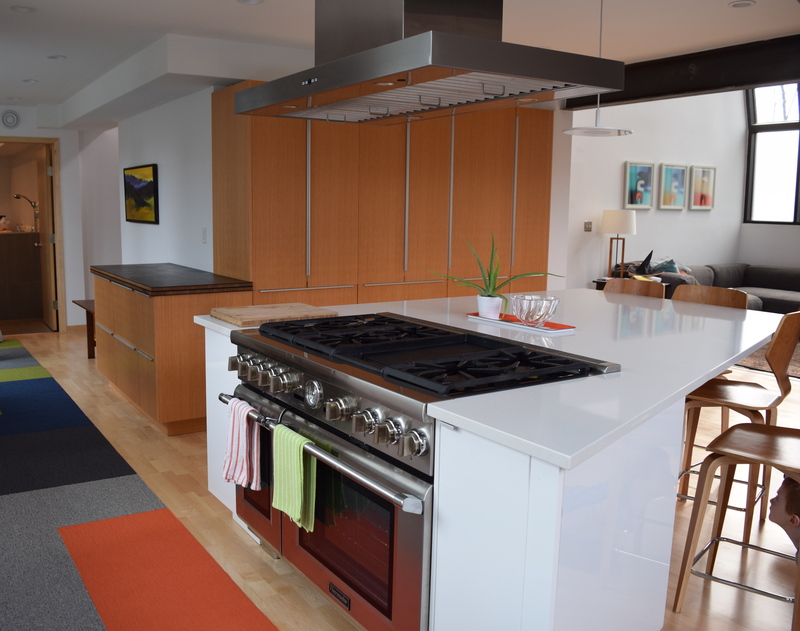 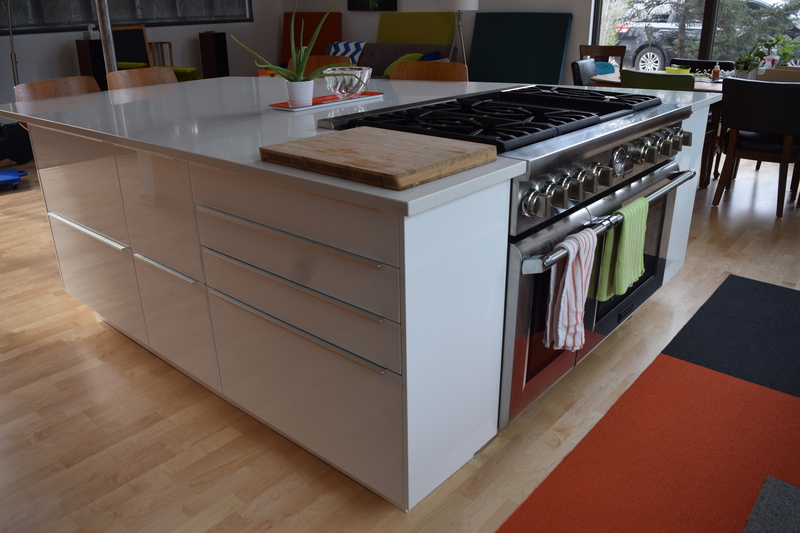 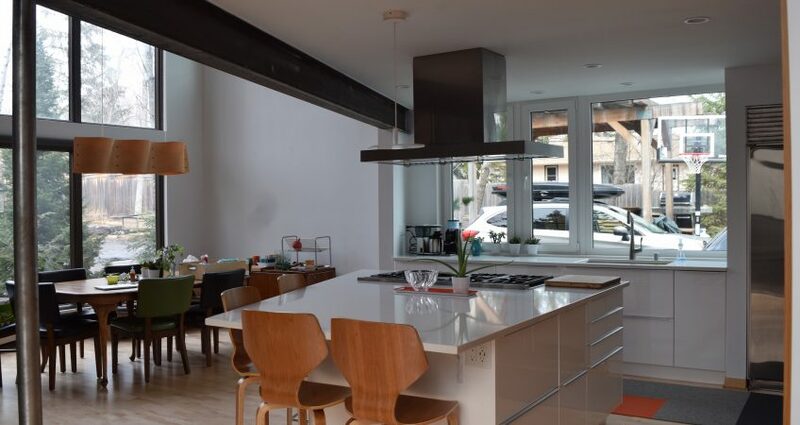 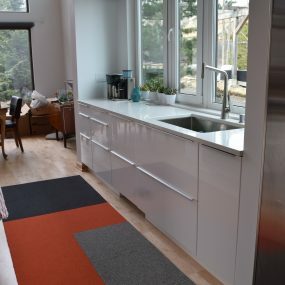 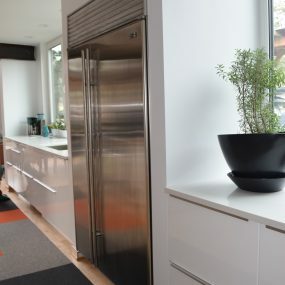 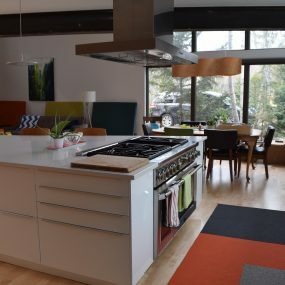 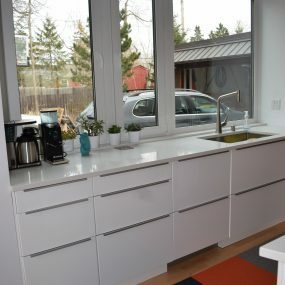 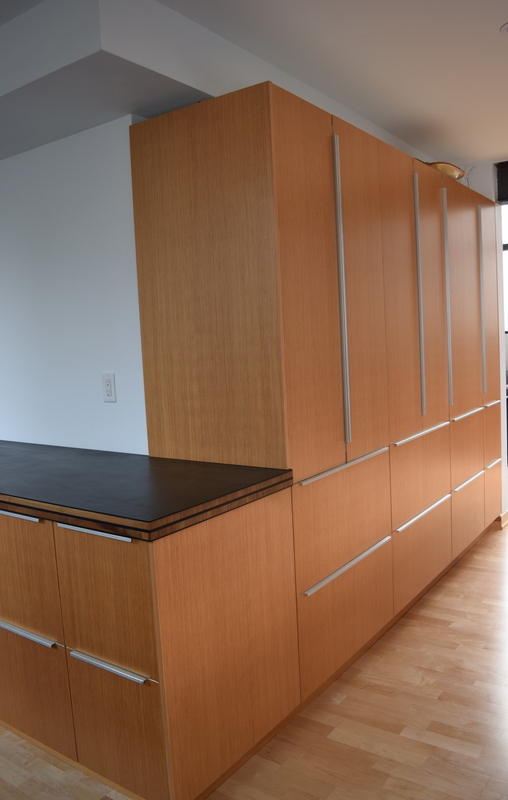 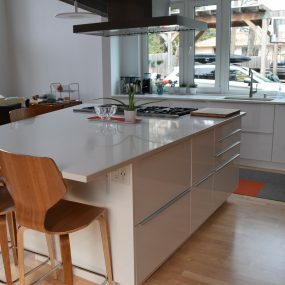 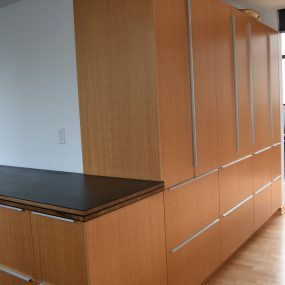 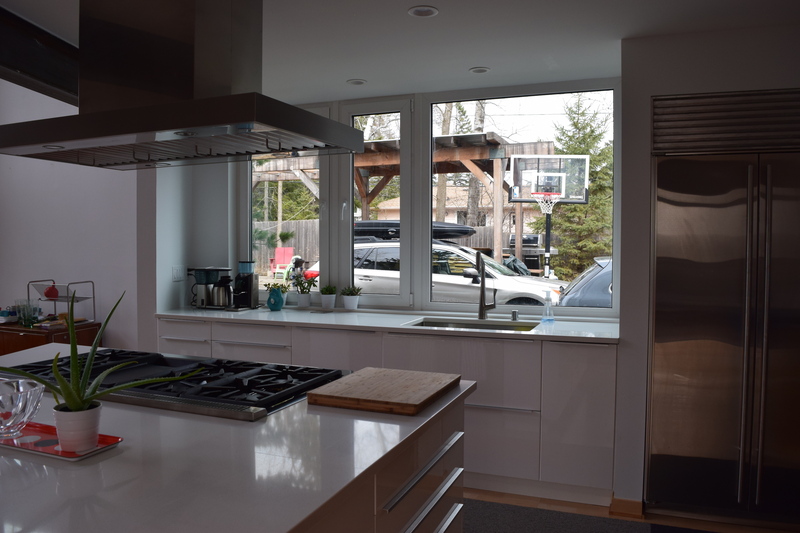 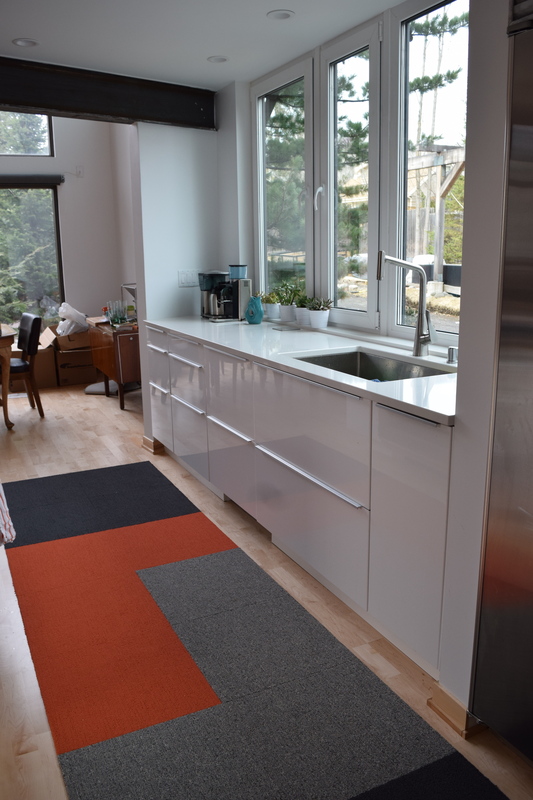 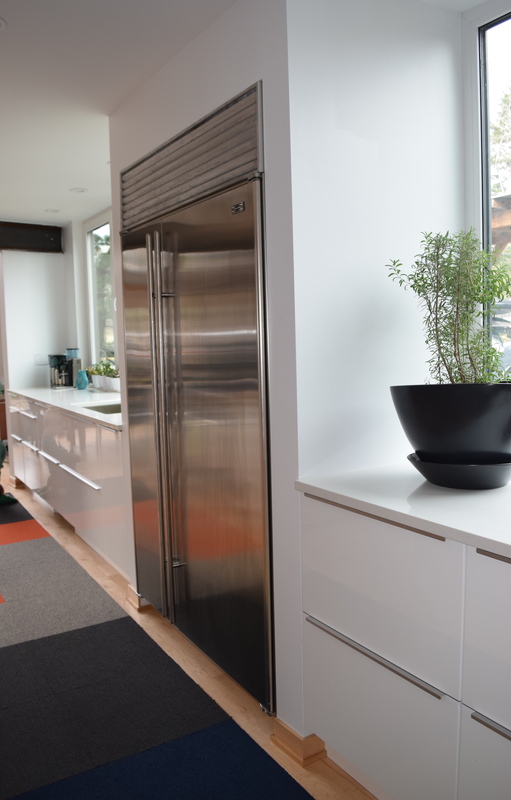 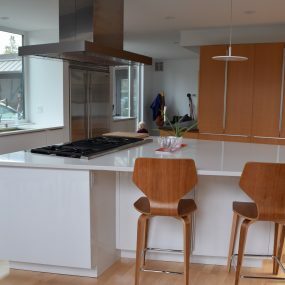 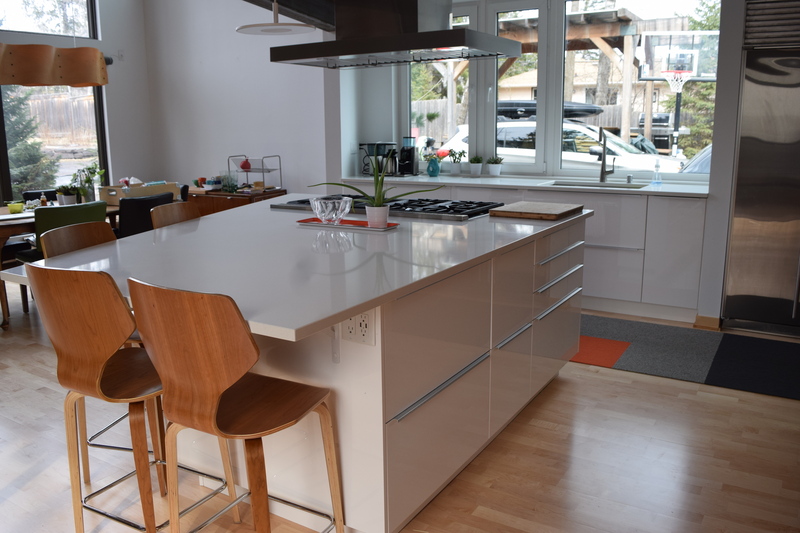 Working closely with the client, he (and the team) turned this one drab main floor into a stunning modern style open concept kitchen/living/dining. 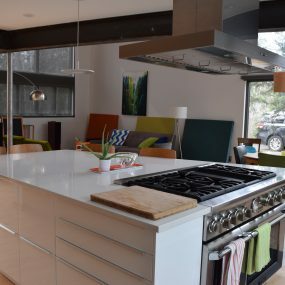 It’s all in the details that make this kitchen so fabulous…the mixing of both white and wood cabinets, the dark and light countertops, the metal beam and post, the white walls to help make the space look and feel even more open. 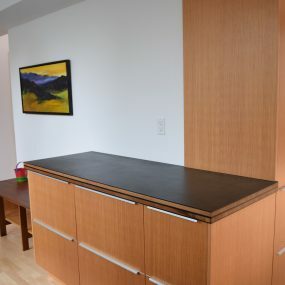 You walk into this space and immediately feel at home. 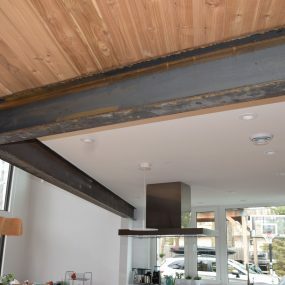 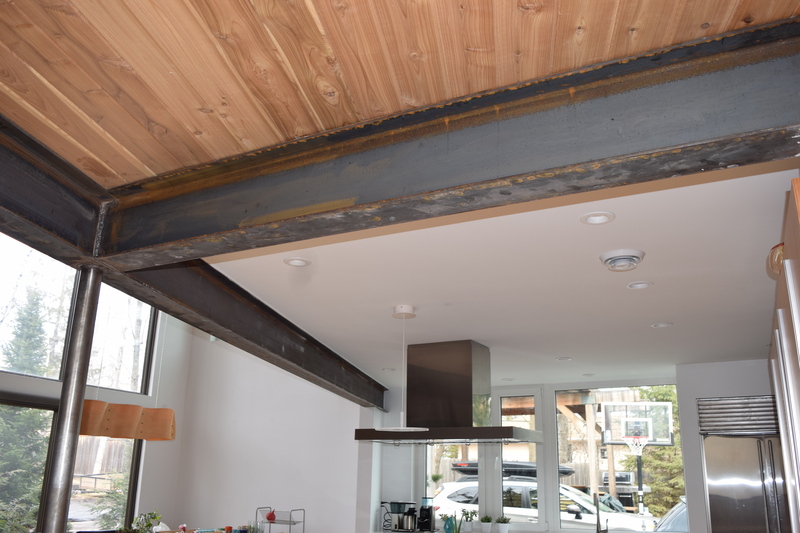 It looks like it wasn’t just remodeled…like the house was meant to be laid out in this fashion. 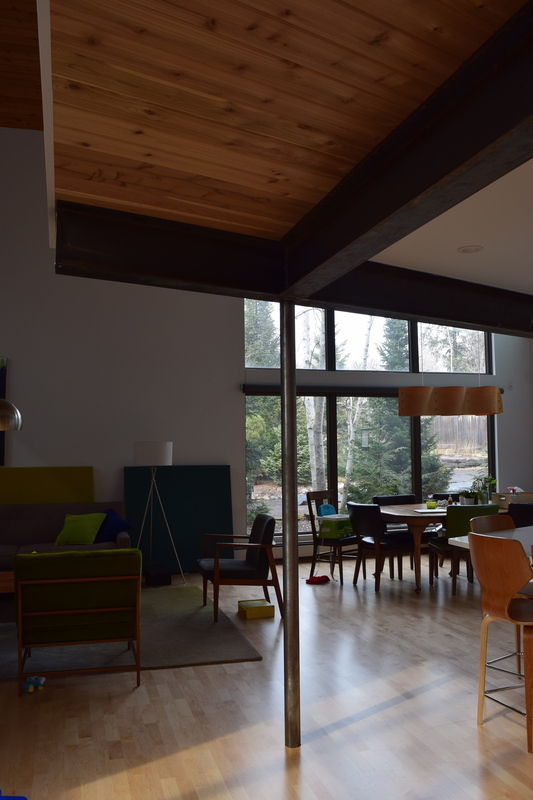 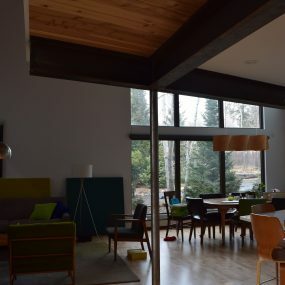 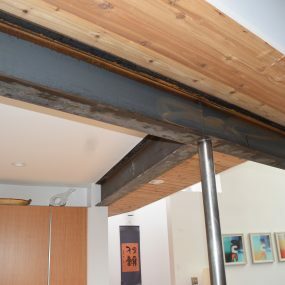 There was a lot of issues behind the walls/floor of this remodel, but the end result is absolutely fantastic.